The Pineapple is a refurbished Victorian pub with its original frontage. On the menu is traditional roast dinners on Sundays and authentic Thai cuisine throughout the rest of the week. Do you work at Pineapple? What did you think of Pineapple? I go to the Pineapple probably once a month and really rate it as a pub. It's got a real cozy feeling and great interior - it's really tidy. The selection of beer on tap is good. Also check out the quiz night at the Pineapple. A real laugh and not for amateurs. I would come here more often if I lived closer. Awesome pub. really enjoyed it, been coming here for years, beer and staff are top drawer. brilliant vibe good music and just great fun in general. Have been coming to this boozer for about 5 years now. It used to be a great little pub to hang out for drinks on a Friday night, but recent publicity means you can't even get through the door for all of the media types, let alone finding a table! I tend to stick to mid-week drinks or Sunday afternoon visits. The atmosphere is so much more relaxed and it's possible to actually sit down. They've also done away with some of the original staff and the new one's don't seem to have a clue. I've been waiting at the bar for up to ten minutes sometimes when it's not even busy. It would also be nice if they did food other than Thai food. A good sunday lunch would go down well. Stop it, take these reviews about The Pineapple off! Don't go to The Pineapple! This is my favourite little pub in London and I don't want everyone finding out about it. Go away, go away! I have recommended the Pineapple to as many people who will listen. The food served in the upstairs dining room still lingers on my taste buds, I love my food and wow was it good. I've only visited Pineapple on two occasions and I will definitely go back with friends for a meal. Hurrah to the Chef, he has the hands of God. A buzzing local watering hole that’ll please pub quizzers and comedy fans. The Pineapple is just off the main road and only a few minutes’ walk from Kentish Town station, but feels nicely separate from Kentish Town Road’s kebab shops and convenience stores. Surrounded by pretty painted townhouses, the busy two storey pub feels like a happy medium between Camden’s trendier bars and a country village pub. Inside, the pub boasts a big sweeping wooden bar with cosy corners and clusters of tables. Out the back there’s a conservatory area where the tables are bigger and the atmosphere less noisy, and there’s also a pretty garden full of picnic benches and patio heaters. 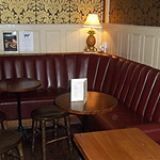 Upstairs, The Pineapple offers a big open space with tables and sofas, which you can rent out for your own event. Whatever day of the week, The Pineapple is guaranteed to have a buzz about it, but on Friday and Saturday nights especially the pub fills up quickly and stays that way until last orders. The friendly pub is popular with all kinds of north Londoners, and you’re surprisingly likely to bump into a famous face. The Pineapple hosts a Laugh and a Half comedy club, which can draw in the likes of Jack Whitehall and Josh Widdcombe as the headliners, looking to test out new material. 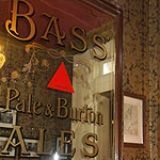 It also dabbles in vintage markets on Sundays, pub quizzes on a Monday, live bands, open mic, bring your own vinyl nights, beer festivals and cheese nights. You name it, The Pineapple does it - and you can bet it does it well. 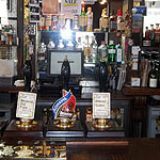 But if you don’t fancy taking part in whatever event the pub happens to be hosting, you don’t need to worry as there is usually an area reserved for those who want nothing more than to enjoy a quiet drink. This pub specialises in Thai food, offering a wide range of dishes. Though the food isn’t the main reason to visit, every dish is reasonably priced and does the trick. On a Sunday you can get your hands on a typical pub roast, too. 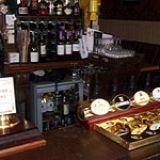 A range of reasonably priced wines as well as an impressive array of beers and ales are held behind the bar – more of which appear during the pub’s beer festivals. The Pineapple is a friendly local pub and one of the most intimate comedy venues on the circuit. Whether events are on or not, the pub serves up a great atmosphere every night of the week.